2GB RAM, 16GB ROM. In The Box. Wireless charging type: N/A. USB Type: A (micro-USB). 4X digital zoom. 5 MP (front facing). 13 MP (rear facing). VoLTE Capable. Good working condition. May have scratches. New ListingSamsung Galaxy Note9 SM-N960U - 128GB - Ocean Blue (T-Mobile) Please Read!!! Heavy Burn In. Phone, Battery, Back Cover, USB Cable (for charging and data transfer). It is safe and convenient for both parties. Acceptable Condition. Excellent Condition. 1x HTC U11 Life. Model HTC U11 Life. Type Smartphone. Manufacturer Color Sapphire Blue. Network Generation 4G, 2.5G, 2G, 3G. Color Blue. UPC 0821793050955. Connectivity Bluetooth, USB Type-C, NFC, Wi-Fi, DLNA. Trending at $109.94eBay determines this price through a machine learned model of the product's sale prices within the last 90 days. Screens and body in nice shape. StylusCondition of item Physical Condition (9/10). Works great, clean ESN. Trending at $219.95eBay determines this price through a machine learned model of the product's sale prices within the last 90 days. Tested unit. In good working condition. Unit only. Samsung Galaxy Note9 SM-N960 - 128GB - Ocean Blue (T-Mobile) (Dual SIM). Condition is Used.minor crack on screen not noticed unless u are looking only used for 4 months with case. Last but not least, expand and organize each tile size, transparency, or color for a truly smooth and customized layout. The device is New. The device has been professionally and thoroughly tested through a 60 step testing process to ensure that the device is 100% working. LG Aristo 2 - 16GB - Blue (Tmobile) - FREE SHIPPING!!! Used Cell Phone. (SEE PICS). Works great. Includes battery, and back cover. New. 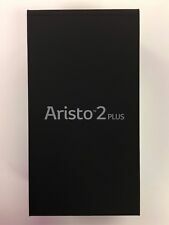 Never used or activated LG Aristo 2 plus smartphone. T-mobile. Shipped with USPS Priority Mail. Samsung Galaxy Note9 SM-N960U - 128GB - Ocean Blue (T-Mobile) Please Read!! !